Basecamp is a simple, convenient, and functional project management tool. 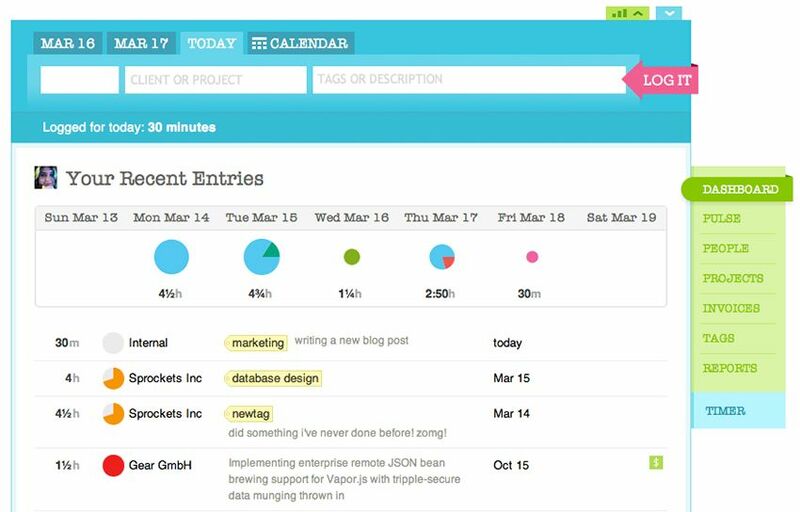 Best of all, it helps you keep all your project-related communication and data in one place. This is true whether you manage a single project or multiple projects and resources. It’s also a great choice if your work involves design as it handles images and artwork well. However, Basecamp 3 time tracking can only be made possible through integration with a number of time management programs, since the native app itself doesn’t handle this feature. To assist you in finding a good basecamp time tracker that fits your unique needs, we’ve come up with this ultimate guide. In this article, we give you a comprehensive overview of apps that integrate with Basecamp for the purposes of time tracking. The first segment covers desktop and web-based apps. The second one focuses on browser extensions. Downloadable desktop apps and web-based apps offer several advantages over browser extensions in terms of security, usability, and versatility. This includes the ability to monitor user behavior or capture screen content outside the browser. This is our own software solution, which we built to be the go-to solution for effective time management of remote teams. With its multi-functional concept and user-friendly interface, this lightweight desktop app runs perfectly on Mac OS, Windows, and Linux OS. The Hubstaff-Basecamp integration is both convenient and practical. Basecamp’s neat user interface gives a clear overview of everything you need for effective project coordination. It displays project lists (choose between tile, split, alphabetical view), so you can create new projects and manage templates. It includes calendar view (general purpose and project calendars), a progress view, to-do lists, discussion threads and much more. The apps will remain automatically synced from then on, and Basecamp users can time their tasks from the Hubstaff desktop app. Hubstaff also integrates with Basecamp Classic (paid and free version). Everhour offers easy time tracking and analysis of Basecamp to-dos. To sync a project with your Basecamp account, choose add/edit project from your Everhour profile page and select ‘connect with Basecamp’. You can connect only one single Basecamp project to one Everhour project. The Everhour app helps you organize your time entries with tags, which you can create using hashtags. The app supports keyboard shortcuts for efficiency, and timers can be started automatically or manually for each time entry. Everhour also provides insight into your use of time by generating detailed time reports. Users can check out their project stats and filter reports by tag or team member. If you want a quick overview of where things stand on your project, just visit your comprehensive projects dashboard to view extra Basecamp stats, including activity distribution per team member, task or milestone for a given period, status and due date. 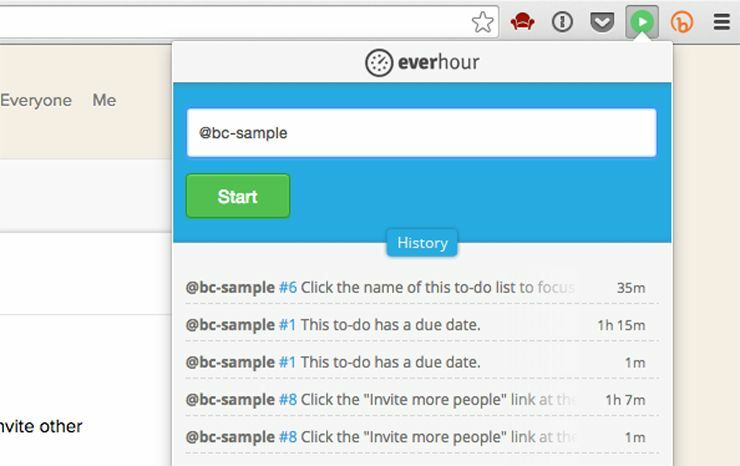 Note: Check out the Everhour Chrome extension in the second part of the article. 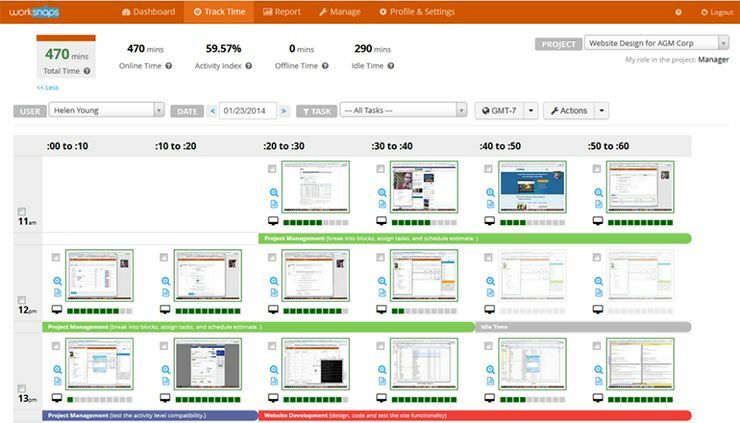 Tick offers smooth Basecamp 3 and Basecamp Classic time tracking, focusing on budget control. Once the easy setup is finished, the software will allow you to import or update all the items you’ve manually selected for syncing. Of course, you can also direct it to transfer everything you have in your account. This includes all projects, people and tasks from Basecamp and all time entries from Basecamp Classic. This will allow you to review project budgets, get budget feedback from the timecard, see hours logged by team member and easily integrate to-do’s with Tick tasks. Reports can be grouped by person, giving you an insight into the hours spent by each contractor for a given period or on a client. Turning on automatic updates will keep your to-dos and Tick tasks in sync. Time Doctor is a time tracking app that can integrate with Basecamp to record activity on separate projects and tasks. In addition to time tracking, they also provide web and application monitoring, screenshot recording, payroll solutions and detailed reports. To take advantage of the integration, you’ll need to install the app (either Time Doctor Lite or the more advanced option, Time Doctor Pro) and link your Basecamp account. Once this is done, the Time Doctor interface will display a list of all Basecamp tasks assigned to a user. Simply click on a task to start tracking. You can assign tasks from within a project in Basecamp and sync new and existing tasks to Time Doctor. 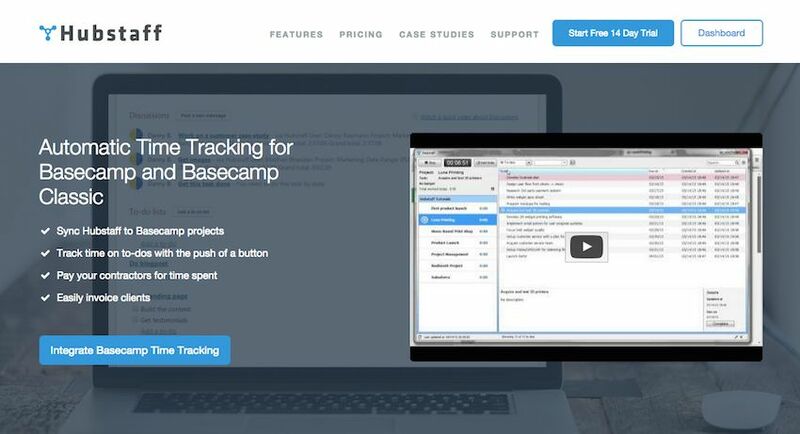 You can also review tracked hours for your Basecamp projects from TimeDoctor’s projects page. Just select a Basecamp project and a date range, and TimeDoctor will generate a report for you. This downloadable app seamlessly integrates with Basecamp to provide efficient time tracking with proof of work, such as screenshots, keyboard/mouse activity and there’s also the option of taking employee webcam shots. Setting it up is easy. Simply enter your credentials for Basecamp (Basecamp URL and Basecamp API Token) and Worksnaps will retrieve your projects and tasks from Basecamp. Using Worksnaps to time track your Basecamp projects requires no effort on your part. Time will be captured, logged onto the Worksnaps server, and automatically synchronized to Basecamp. You can use Worksnaps to track your team’s time and then use Basecamp’s time tracking report feature to get a visual representation of the time spent on tasks. If you want to show your team’s work to your client, you can attach Worksnaps links in the time entry. You can’t have new projects or tasks in Worksnaps other than those imported from your Basecamp account. 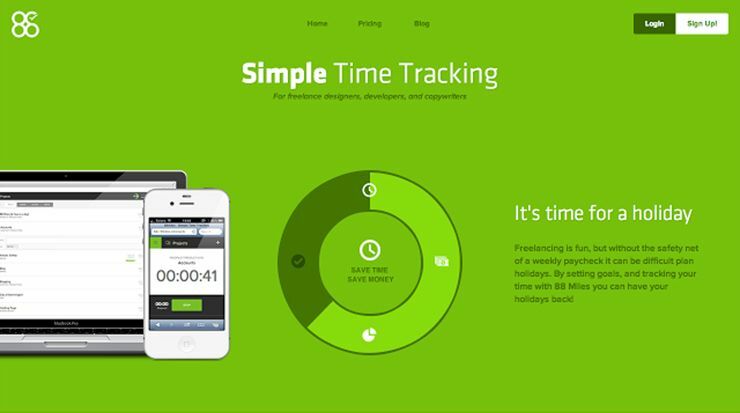 This web-based time tracker is very flexible and user-friendly. To time track your Basecamp projects in Freckle, simply connect your Freckle account to Basecamp and allow the app to access Basecamp. If you have multiple Basecamp accounts, Freckle will prompt you to choose one. Syncing is automatic but can also be started manually. Once it’s complete, you’ll see a list of Basecamp projects synced to your Freckle account. Projects archived in Basecamp will also appear as archived in Freckle. Options like entering all data from the keyboard, using hashtags to categorize activities, and desktop and iOS timer syncing make this integration really convenient. Freckle supports unlimited projects, multi-currency invoicing, comprehensive reporting, hourly backups and tracking of non-billable time. This is an extremely simple and functional time tracker. You can use Toggl on its own website, run it on your PC with the desktop client for Windows, Mac or Linux, or embed the Toggl code on your company’s intranet or almost any website. To start tracking, just edit the description and project name of the sample task in your Toggl account and choose whether it’s billable. Import users, projects, and to-do lists from Basecamp into Toggl or generate task stats to see how you spend your hours. Time reports can be filtered by project, client or tag and shared via custom links or exported (xls, csv, pdf). 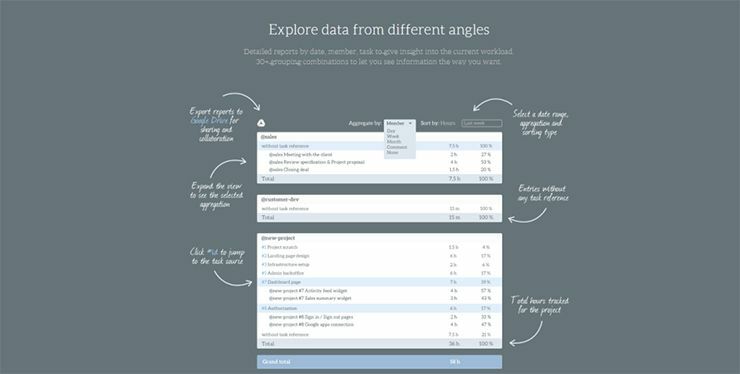 You can divide your teams into user groups (useful for larger, multi-department companies) or use the dashboard to compare current and past tracking data. Since projects are imported into Toggl and set as “public”, they are by default visible to everyone in the workspace, unless the status is changed. All projects, to-do lists, and tasks are imported via the access settings of the user who authorizes the integration. Note: Check Toggl button for Chrome in the second part of the article. Minterapp allows easy time tracking and invoicing of your Basecamp projects. Simply connect your projects through the Minterapp platform once and your team can start tracking its hours inside Basecamp. You can generate detailed reports through the Minterapp admin section or use the app to create invoices and bill your clients. Payment can be received through Paypal, Stripe or Authorize.net. A well-designed time tracking and invoicing app you can use to track hours in Basecamp, regardless of your team’s size. You can import your Basecamp projects and to-do’s into Paydirt or use your Chrome browser to log your time directly from your Basecamp project page. The integration allows you to track time from within Basecamp. You can add complete time logs or start a timer, generate descriptive graphical reports or use Paydirt to convert logged hours into an invoice. Unlike desktop apps, browser extensions don’t need downloading or a separate program window to run. Also, they unobtrusively track time from within your browser so you can better concentrate on your work. Hubstaff’s time-tracking software ensures you work the hours that you log with it’s productivity tracking features. The Chrome time tracker also makes a log of the websites you visit, time spent on each one and takes random screenshots of your work station at regular intervals so you can’t cheat the system. You’ll work the hours you put in, guaranteed, and it will make sure your employees do the same. It works seamlessly with Basecamp. Here are the steps to tracking time on tasks within Basecamp. 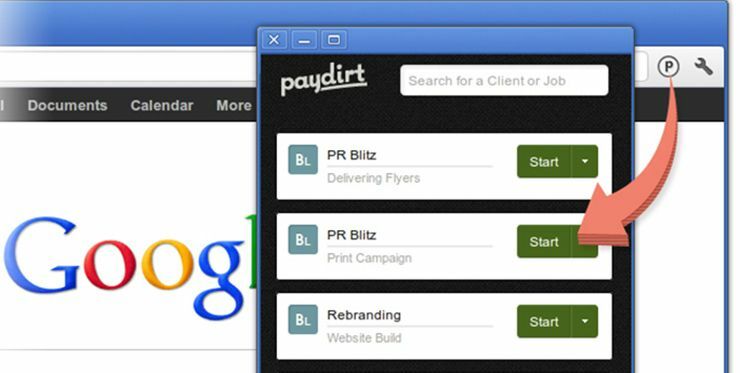 Paydirt’s Firefox and Chrome extensions allows for quick and easy tracking of your Basecamp projects and tasks. To start tracking without logging into the Paydirt site, just click the button in the top right corner of your browser. One of the main reasons to give this extension a try are the so-called smart reminders, which prompt you to start tracking when you type certain keywords (like a client’s name), so you won’t forget to log your time. 88 Miles provides a Chrome plugin to track time directly from the Basecamp project view window. To start tracking, just download the extension to your browser of choice and link a Basecamp project to an 88 Miles project by going to Options > Authorize . 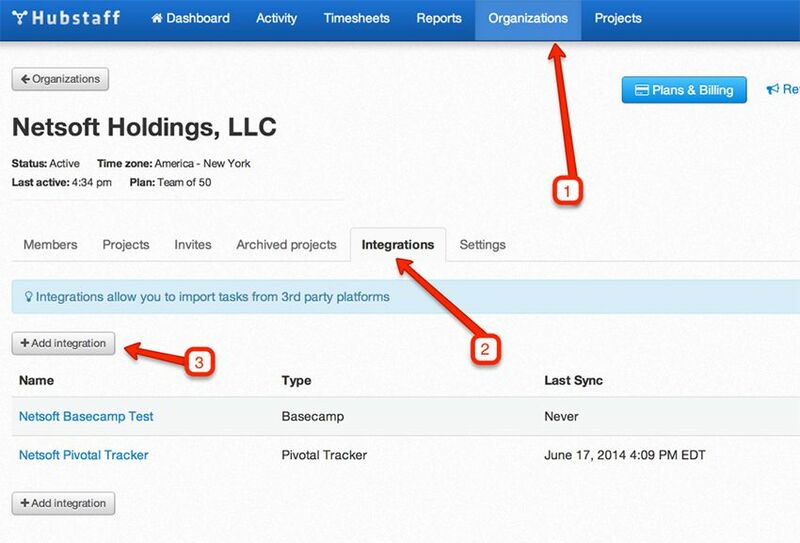 Then navigate to your Basecamp, click on a project and you’ll see a new Time Tracking section. You will need to tell Basecamp which 88 Miles project to use — select it from the dropdown and click Link. When you start a task, just click the clock icon next to it to track time, and click again to stop tracking. 88 Miles for Basecamp tracks non-billable and billable hours. Its report system gives an insight into past projects so you can make future project estimates. This comes in handy when giving quotes on new jobs. Once you sign up for Everhour and install the Chrome extension, a timer icon will appear in your browser toolbar. Clicking the icon opens a window displaying an input field, a running timer and a stop button, as well as the total time spent on a current to-do (below the running timer), and history of all entries for the day. To sync a new or existing project with your Basecamp account, just go to your Everhour dashboard > Settings > Add/Edit project form > Click “Connect with Basecamp” button > Choose a project to sync with. Thanks to the entry autofill feature, the extension will automatically insert the project mention when you are on a to-do page. If a certain to-do page is opened, its number, title and project mention will be auto-inserted. With the free Timeneye extension for Chrome, you can start timers and save time entries directly from Basecamp. To start timers for your to-do’s in Basecamp, simply click on the icon next to a Timeneye to-do. To use the extension, you’ll need to register with Timeneye (free of charge). Thanks to the integration wizard, you can quickly link/import projects and users from your Basecamp account to Timeneye. 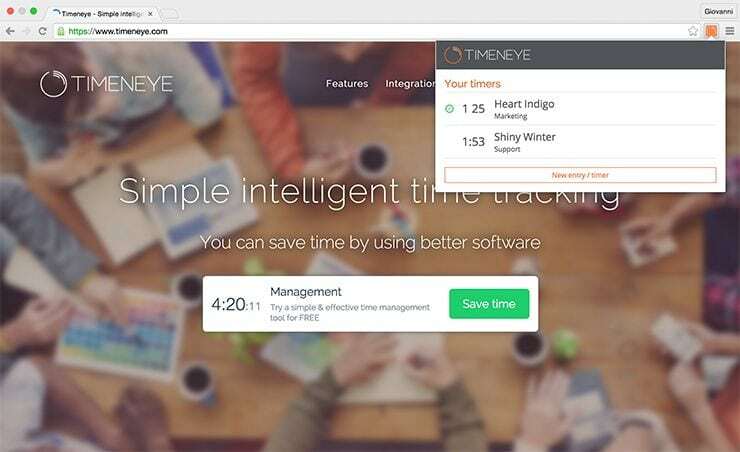 To generate a manual time entry in Timeneye, simply comment on a to-do with the time spent on it (example 1h00) and Timeneye will register an hour’s worth of work. You can set multiple timers to monitor the time spent on each task with this useful extension. 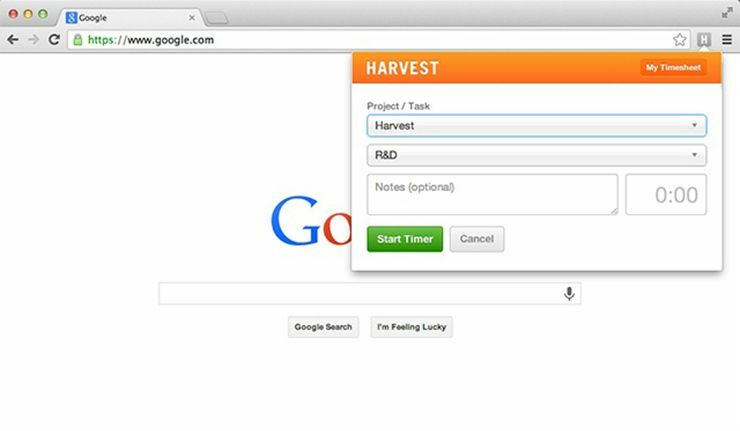 This free Chrome extension allows you to seamlessly track time on your projects and to-dos without leaving your Basecamp account. You can do your project management and collaboration in Basecamp, while the time tracking, reporting and invoicing is processed in Harvest. Simply click on a Harvest timer in your Basecamp to-do list, start tracking and know how much time has been tracked for every Basecamp to-do. To-dos are also linked from your Harvest timesheet, making it easy to see the hours tracked from Basecamp. The Harvest-Basecamp integration can also convert tracked time into detailed budget and staff reports. This Chrome extension lets you use Toggl’s time tracking inside Basecamp. To set it up, just click “Add to Chrome” in the Chrome Webstore and log into Toggl.com. Once the extension is enabled, a Toggl Button icon will appear in the right corner of the address bar. To start your Toggl timer, hover over one of your Basecamp to-do tasks, then select the Toggle icon that appears. This should open the menu, where you can stop your timer, edit settings, or sync with the server. This integration only works one-way; you can import projects, to-do lists, and to-do items from your Basecamp account into Toggl. Know other Basecamp 3 time tracking solutions? We did our best to compile a list of all ways to track time for your Basecamp projects, but we want to know if we missed any! If you know of other time tracking alternatives for Basecamp please let us know in the comments below.